Periodontal disease, more commonly known as gum disease, is actually the most common dental problem in the entire world, and it’s also one of the most damaging. Early symptoms can be very mild and even unnoticeable (more on this below), but left untreated, it can often lead to tooth loss. It’s also been shown to drastically increase a person’s risk of developing other systemic diseases, including heart disease, diabetes, pregnancy issues and dementia. At our practice, Dr. Mohr and our team will keep a close eye on your gums at every visit, and should we spot a problem, we’ll quickly be able to take care of it with our periodontal therapy treatments. Why Choose Dr. Allan S. Mohr for Periodontal Therapy? Do your gums bleed when you brush or when you bite into a piece of food? Are your teeth loose? Will a cleaning resolve these issues? Periodontal disease is a chronic bacterial infection of the gingival (gum) tissues. When plaque and tartar accumulate on the teeth along and underneath the gum line, the gums can become inflamed and may bleed during or after brushing and flossing. The bacteria found within plaque is capable of producing toxins that irritate the gum tissue, leading to redness, inflammation, and bleeding. If treatment is not administered and the irritation is allowed to continue, the gingival tissue will begin to pull away from the teeth. This causes spaces (called pockets) to form. 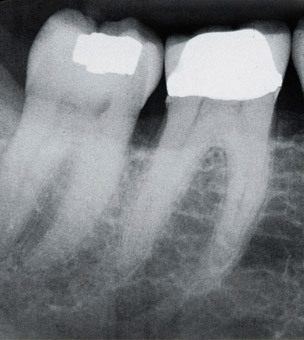 As the infection becomes more severe, the connective and supportive tissues that hold teeth in place begin to degenerate. 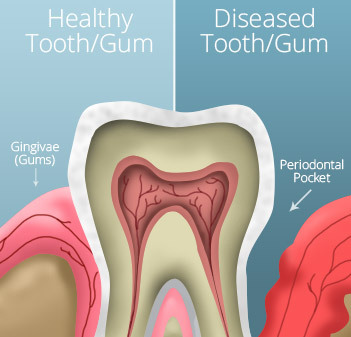 Periodontal disease encompasses a wide range of conditions, including everything from a mild inflammation of the gums to severe damage to the connective tissue and the bones that hold the teeth in place. Left untreated, periodontal disease may result in gum recession, tooth loss, and a variety of seemingly unrelated health concerns, like high blood pressure, heart disease, and stroke. In accordance with the results of multiple studies, periodontal disease is considered to be the sixth complication associated with diabetes. Other complications include retinopathy (damage to the retina), neuropathy, nephropathy (kidney disease), macrovascular diseases, and microvascular diseases. Numerous studies have proven the existence of a bidirectional correlation between periodontal infection and diabetes. Clinical research has also shown that the successful management of periodontal disease can improve glycemic control in patients with diabetes due to a diminished need for excess insulin. What is the difference between a Dental Cleaning, Scaling and Root Planing, and Periodontal Maintenance? With periodontal therapy, Dr. Allan Mohr and our highly trained and educated hygienist, Ruthann Young, RDH, help patients suffering from gum disease enjoy fully restored oral health and overall wellness. A dental cleaning (or prophylaxis) by definition is cleaning plaque, tartar, and stains from the enamel tooth portion above the gums. This service is provided for children and adults who are in excellent health with no bone loss, recession, or inflammation. There are generally 3 types of cleanings. A prophylaxis is a regular cleaning, usually given at 4 or 6-month intervals depending on how you are doing on your home care. Scaling and root planing is a more significant cleaning, one that involves going deeper into the pockets to get everything back to a healthy baseline. All patients who have experienced scaling and root planing in their lives are likely on a program called “periodontal maintenance,” which involves a prophylaxis and any deep scaling that is needed. Whatever your needs are, we are here to help you. We will spend time educating you on your condition and how to avoid getting there again. We will guide you with home care instructions and follow up with you to ensure all your hard work is paying off! During this test, you may hear Dr. Mohr or his hygienist call out a range of numbers that pertain to each tooth. These numbers represent the measurement or depth, in millimeters, of the pocket of gum tissue that surrounds each tooth. This measurement depicts the difference in height between the point that your gum tissue attaches to the tooth and the level of your gum line. Typically, a depth of two to three millimeters is considered healthy, while anything deeper than 5 millimeters generally indicates the presence of advanced periodontal disease. Bone loss may be present at this stage. When you come to the office as a new patient for an initial examination, or when you visit our hygienists to get your teeth cleaned, you will have the health of your gums evaluated by using a simple and relatively comfortable test called a periodontal chart. The American Academy of Periodontics treatment guidelines stress that periodontal health should be achieved in the least invasive and most cost-effective manner possible. This is often accomplished through non-surgical periodontal treatment, including scaling and root planing (a careful cleaning of the root surfaces to remove plaque and calculus [tartar] from deep periodontal pockets and to smooth the tooth root to remove bacterial toxins), followed by adjunctive therapy such as the local delivery of antimicrobials, like Arestin. The application of Arestin may be applied below the gum line to facilitate recovery from the infection. Arestin (minocycline hydrochloride) is placed directly into gingival pockets and actively kills the bacteria that thrive beneath the gum line. It is applied immediately following scaling and root planing, offering antibiotic and anti-inflammatory benefits for up to 30 days after you leave our office. Clinical tests have also shown that Arestin promotes superior results as compared to scaling and root planing alone for up to three months after your treatment. 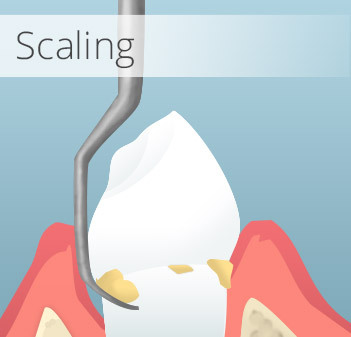 Remember that scaling and root planing is different from a routine prophylaxis in that it addresses calculus and plaque beneath the gum tissue, further preventing a bacterial infection within the gingival pockets. Soft tissue management is a method that improves access to gingival pockets for more thorough cleaning, reducing treatment time and eliminating patient discomfort. Specialized periodontal maintenance therapy is an ongoing treatment provided by this office so that periodontal disease does not return. 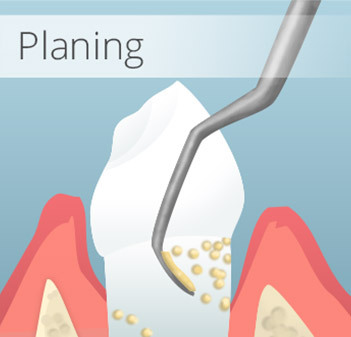 A maintenance appointment is usually preceded by scaling and root planing and consists of monitoring probing depth, inflammation, taking radiographs for pathology below the gums, and applying medication therapy to minimize microbial re-population. Periodontal maintenance treatments are quite often in 3-month intervals and are meant to reduce the risk of needing additional scaling and root planing or more complicated surgical treatment. 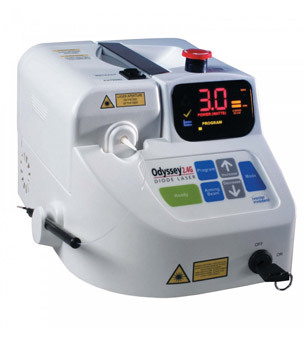 Depending on the severity of the infection within the gums, a specialized diode laser may be used. The diode laser specifically targets unhealthy tissue, detoxifying the gingival tissue in a way that is proven to be both safe and effective. Even certain strains of aggressive bacteria that are difficult to remove with traditional periodontal surgery can be fully addressed with the diode, making it an excellent tool in the management of advanced gum disease. Additional benefits of laser periodontal therapy include improved patient comfort, cost-effectiveness, reduced risk of infection, and more rapid healing. In addition to antibiotic treatment with Arestin, we also use an FDA-approved product called Oraqix to promote total patient comfort. Oraqix is a topical anesthetic solution that eliminates the need for needles and Novocain, which is excellent news for patients whose fear of injections may cause trepidation regarding dental treatment. 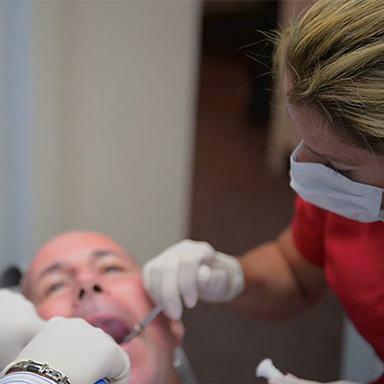 Ruthann, our hygienist, simply applies the non-injectable anesthetic to the treatment area, and it goes to work within seconds, making your visit completely comfortable. Approximately 75% of Americans are affected by some form of periodontal disease. Dr. Mohr helps his patients achieve lasting periodontal health with routine prophylaxis, soft tissue management, scaling and root planing, and diode laser therapy at his Massapequa Park dental practice. Our team will always thoroughly explain your individual case to you in a way that is easy to understand so that you’re always well-informed regarding your oral health. Contact us today to schedule your one-on-one consultation and learn more about the benefits of treating gum disease. Our state-of-the-art dental practice warmly welcomes patients from throughout Massapequa Park and the surrounding areas, including communities on Long Island, in Wantagh, Lindenhurst, Seaford, and more.